The epic live table read of my horrible screenplay I wrote in college. I got a group of the funniest comedians around to help me bring this piece of garbage to life. And MAN were they funny. Danish & Oneill provided commentary. 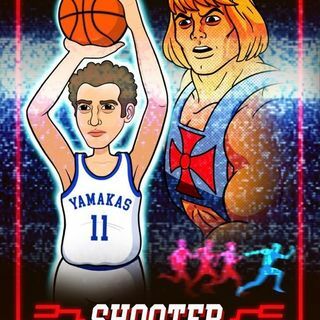 Dan Soder played Shooter. Michelle Wolf played the love interest, Jenny. Attell was the bad guy. Tim Dillon was the best friend. And Stavros Halkias and Yannis Pappas played the coach and professor and lots of other roles. Even the audience got involved! This was ... Más informaciones one of my funnest nights ever and probably my favorite live show from all of 2018. It was such a blast! There's also a drinking game attached to this if you want play. Just have some beers and friends ready to go and I'll explain how to play when the episode starts.